Wilmington Island homeowners interested in renovating or remodeling their master bath, guest bath, or hall bath can design their space with American Craftsman Renovations. We can help you create a spa like retreat that will enhance your quality of life and increase the value of your property. Whether you have a design in mind or need help coming up with the different ideas for your bathroom, we are here to help. No matter what your bathroom remodeling or renovation needs are, we are here to help. 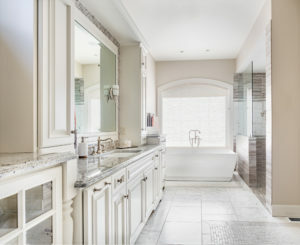 We can help renovate your existing space, with a new bathtub and vanity, or reconfigure your space with a bathroom remodel, where we gut your current bathroom to create a new layout, bringing your ideas for your space to life.